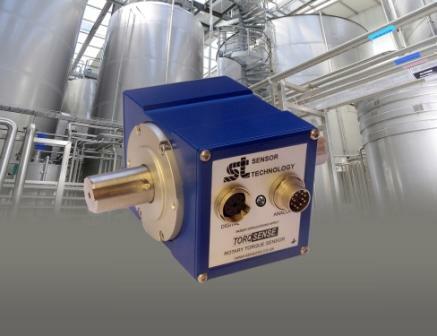 Sensor Technology, Banbury, UK, has recently supplied several TorqSense transducers to Manchester University’s School of Chemical Engineering and Analytical Sciences where they have been incorporated into a test rig which is analysing the performance of in-line mixers. The energy consumption required by in-tank mixing processes is well researched and understood. But with in-line rotor-stator mixers the flow is often controlled independently of the rotor speed and collecting sufficient data to accurately model the process has to date required a large number of experiments. Now researchers Dr Mike Cooke and T L Rogers at Manchester University have developed two simplified methods for obtaining the necessary information for particular stator-rotor mixers: one uses torque measurements, the other heat balance. Dr Cooke explains that to reliably scale-up these devices from laboratory size to industrial scale the relationship between rotor speed, flow rate and the energy dissipated needs to be understood. The scientists created two mixing experiments and set about measuring the torque profile and heat balance. In the first experiment torque was measured by a Sensor Technology’s TorqSense in-line torque meter fitted to the drive shaft. There are two main sources of potential error when measuring the torque on the rotor shaft: time-based zero-drift and bending moments on the shaft, both of which are easily counteracted with the TorqSense. Other corrections also have to be made for bearing losses, temperature fluctuations, etc.